Commonwealth Bank of Australia is spending $40 million to improve the technology used to monitor accounts and transactions for suspicious activity in the wake of a legal challenge from AUSTRAC accusing the bank of anti-money laundering and counter-terrorism law breaches. A statement from the bank’s board, released just an hour after the bank posted a record full year profit of $9.9 billion, said CBA would be upgrading its financial crime technology to better flag suspicious money movements. The new technology will be fully delivered over the next 12 months, the statement said. The bank will also begin an upgrade of additional fraud monitoring technology, “for use by the team that provides further security assurance to customers by identifying any fraudulent activity”, the board said. “As the Board considers the substance of AUSTRAC’s claims, it will take an active role in addressing any further management accountability for the alleged actions or omissions. The Board notes that it has no reason to believe that the allegations arose from deliberate or unethical behaviour, or any commercial motive,” chairman Catherine Livingstone said in the statement. The board said the alleged issues concerning Threshold Transaction Reporting (TTRs) in the Intelligent Deposit Machines (IDMs) were brought to its attention in the second half of 2015, at which point “a program of action focussed on strengthening its policies and processes relating to its obligations” was set in motion. Since then, the banks says it promptly fixed the “coding error” relating to the IDMs, and recruited more than 50 financial crime compliance professionals. It also strengthened its ‘Know Your Customer’ processes with a “specialist hub providing consistent and high-quality on-boarding of customers, delivered at a cost of more than $85m”. 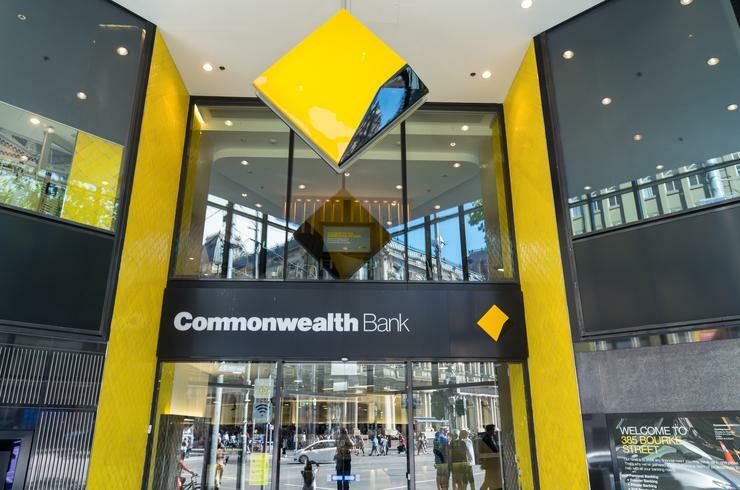 The Australian Transaction Reports and Analysis Centre initiated civil penalty proceedings in the Federal Court against CBA last Friday, for ‘serious and systemic non-compliance’ with anti-money laundering and counter-terrorism financing laws. AUSTRAC’s action alleges more than 53,700 contraventions, which concern the banks use of intelligent deposit machines. The CBA board has established a dedicated sub-committee of four directors that will oversee the response to AUSTRAC’s statement of claim and the on-going execution of the program of action, it said. “The Board acknowledges the significance of the allegations, recognises the high degree of public interest in this matter, and that this issue impacts the reputation not only of the Bank but of the industry more broadly,” Livingstone said in the statement. In a video posted to Twitter this morning, Ian Narev said it had been a “tough time” for the bank since AUSTRAC proceedings were filed. "We're taking them very seriously, we're looking through it very diligently, we spent a lot of time on it at the Commonwealth Bank board over the last couple of days. We know that we've made mistakes we have fixed a lot of those mistakes and will continue to look to make our business better and better,” Narev said. CBA notched up $1.94 billion on information technology services expenses during the financial year ending June. The latest figure represents a 31 per cent year-on-year increase in tech spend for the bank compared to the year prior, when the company spent around $1.49 billion. The bank told shareholders that the increase in its information and technology services spend was driven primarily by a $393 million one-off expense for acceleration of amortisation on certain software assets. Regardless of this factor, however, CBA said its underlying IT services expenses for the year increased by around four per cent due to higher licensing expenses, lease costs and investment spend. One CBA’s tech-related strategic priorities in the 2017 financial year was to enhance the home loan experience for customers by better integrating its branch, online and mobile channels. Overall, CBA’s net profit after tax for the year increased by five per cent, year-on-year, to $9.88 billion.